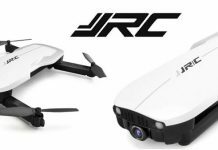 This new JJRC quad was announced few weeks ago simultaneously on many online quadcopter shops. In my opinion, thanks to the newbie orientated features (headless mode and altitude hold) this JJRC H11WH looks just perfect for beginner pilots. While the design of the H11WH reminds me about another JJRC quad, the X1, the transmitter looks exactly the same as JJRC H20C has. The remote controller is equipped with a phone holder which allows to install your smartphone on the top of the RC in order to display the camera’s live video feed. In order to obtain the best field of view, the tilt angle of the camera’s lens can be adjusted. 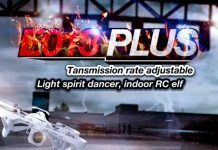 The integrated barometric air pressure sensor allows the JJRC H11WH to maintain its flight altitude stable at the desired level. Although the JJRC H11WH quadcopter is powered by a high capacity 1100 mAh, the flight autonomy is very short, only about 7 minutes. One of the biggest problem with brushed motors is that are last only about 10-30 flights and needs to be replaced. Luckily, the designers from JJRC found a way in order to allow easy and without soldering replacement. Just remove two screws and you have access to replace the motor. About 7 minutes flight time. Nice quad! But it worth $65?? 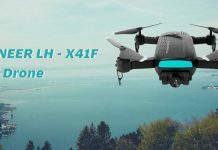 Looks nice!, do you plan to review this JJRC H11WH drone?